SIFMA’s Sales and Member Engagement teams are dedicated to working with you to develop a customized program that can help you achieve your business objectives. Our unique organization presents you with the opportunity to engage key decision-makers in the capital markets at hundreds of financial services companies, from small and regional firms to the largest global organizations. Broadridge is a leading full-service outsourcing provider to the global financial industry, capable of meeting the most demanding requirements for efficient, secure and scalable operational support. Our reach spans the world, and encompasses an extensive array of services – from account opening and securities transaction processing to correspondent clearing to document management and investor communications as well as full operational staff outsourcing. A steadfast source of processing support, we help financial services institutions and public companies increase productivity, streamline operations, enter new markets with new products more quickly, drive down back-office costs and better manage risk. Today’s dynamic business environment calls for this kind of reliable and efficient multi-dimensional support. Our wealth of solutions and deep expertise let you focus on differentiating your firm in today’s complex and competitive global marketplace. Across the complex banking and securities industry, financial institutions face increased regulation, new and evolving disruptors, and a challenging growth environment. To help institutions prepare for and face these obstacles head on, Deloitte’s Banking & Securities practice taps into our global network of 40,000 industry professionals – bringing together diverse and experienced teams when and where you need us. Deloitte serves 95 percent of the top 20 US securities firms and audits one-third of those firms. Our professionals deliver innovative, forward-looking strategies to help you navigate through today’s complex landscape and better position your firm for the future. To learn more about our practice and our industry insights, visit www.deloitte.com/banking. FIS is a global leader in financial services technology, with a focus on retail and institutional banking, payments, asset and wealth management, risk and compliance, and outsourcing solutions. Through the depth and breadth of our solutions portfolio, global capabilities and domain expertise, FIS serves more than 20,000 clients in over 130 countries. Headquartered in Jacksonville, Fla., FIS employs more than 52,000 people worldwide and holds leadership positions in payment processing, financial software and banking solutions. Providing software, services and outsourcing of the technology that empowers the financial world, FIS is a Fortune 500 company and is a member of Standard & Poor’s 500® Index. Hearsay Systems offers the complete client engagement solution for financial services, empowering advisors and agents to effectively use digital to build stronger relationships that grow business. Its Hearsay 360 platform is used by more than 150,000 advisors and agents at the world’s largest financial services and insurance companies including New York Life, Raymond James, and Vanguard. Hearsay 360 enables efficient and compliant client engagement across digital channels including social networks, text messaging, websites and email. Its prescriptive technology processes and prioritizes data across digital channels and systems and suggests what advisors should do next, saving them time and eliminating guesswork. For the enterprise, Hearsay 360 unifies client engagement from across the organization, breaking down functional silos and providing relationship building and accountability for sales; brand governance and amplification for marketing; efficient supervision and review for compliance; and an open enterprise-ready platform for IT. With offices in 157 countries and more than 208,000 people, we are among the leading professional services networks in the world. We help organisations and individuals create the value they’re looking for, by delivering quality in assurance, tax and advisory services. Tata Consultancy Services is an IT services, consulting and business solutions organization that has been partnering with many of the world’s largest businesses in their transformation journeys for the last fifty years. TCS offers a consulting-led, cognitive powered, integrated portfolio of IT, Business & Technology Services, and engineering. The TCS BaNCS universal financial solution from TCS Financial Solutions is designed to help financial services institutions enhance end customer experience, enabling them to embrace open and innovative technologies that embody true digital customer engagement. Deployed at more than 450 installations worldwide, it is the largest collection of components, enterprise and consumer apps for the financial industry made available through the cloud, helping firms become more agile and intelligent by leveraging the power of new and extended ecosystems. TCS BaNCS aspires to be better than established benchmarks, which is why we’ve embedded an Alpha (“á”) consciously and prominently within our brand, to remind ourselves of the superior returns that we strive to deliver to our customers. Fidelity Clearing & Custody Solutions (SM) provides a comprehensive clearing and custody platform, brokerage services, trading capabilities, and practice management consulting to broker-dealer firms, banks, insurance companies, registered investment advisors—including strategic acquirers and professional asset managers—and retirement recordkeepers. FCCS’ goal is to help institutional clients be future-ready by offering access to exceptional people, knowledgeable consultations, and transformative technology. 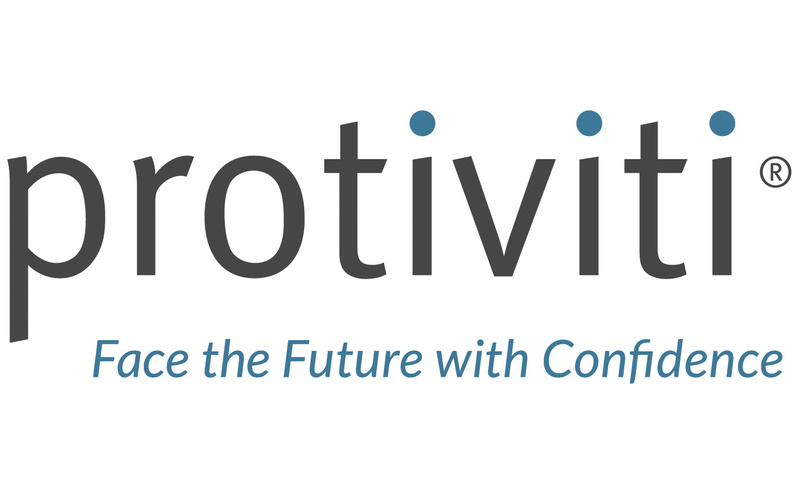 Protiviti is a global consulting firm that delivers deep expertise, objective insights, a tailored approach and unparalleled collaboration to help leaders confidently face the future. Protiviti and our independently owned Member Firms provide consulting solutions in finance, technology, operations, data, analytics, governance, risk and internal audit to our clients through our network of more than 75 offices in over 27 countries. We have served more than 60 percent of Fortune 1000® and 35 percent of Fortune Global 500® companies. We also work with smaller, growing companies, including those looking to go public, as well as with government agencies. Protiviti is a wholly owned subsidiary of Robert Half (NYSE: RHI). Founded in 1948, Robert Half is a member of the S&P 500 index. Refinitiv, formerly the Financial & Risk business of Thomson Reuters, is one of the world’s largest providers of financial markets data and infrastructure, serving over 40,000 institutions in over 190 countries. With a dynamic combination of data, insights, technology, and Reuters news, our customers can access solutions for every challenge, including a breadth of applications, tools, and content – all supported by human expertise. We’re realizing a brighter future for the industry that defines it. With a partner network that spans the global financial community, our best-in-class data and expert insights transform information into the solutions that move us forward together.